STEAM Powered Learning is a cooperative program, among Trumbull County Schools and the Trumbull County Educational Service Center that develops and promotes the creative talents of students. Instruction encourages creativity and openness of expression while stressing process development, self-assessment and evaluation. The philosophy and atmosphere focuses on learning, literacy and Future Ready skills. The faculty consists of instructors who are practicing in their field of expertise. The program began in 1991 as Arts/EXCEL and in 2014 was named STEAM Excel to reflect the addition of technology programming. Students must be enrolled in grades 4-8 in a participating school district. Students are required to display a high level of participation in all activities. A student's eligibility is determined by the student's district. Notification will come from the district. Students may bring his/her own lunch and drink or purchase from Lordstown. Free & reduced lunch will be available. Transportation to STEAM is arranged by the individual school districts. Parents should contact the building principal for details. 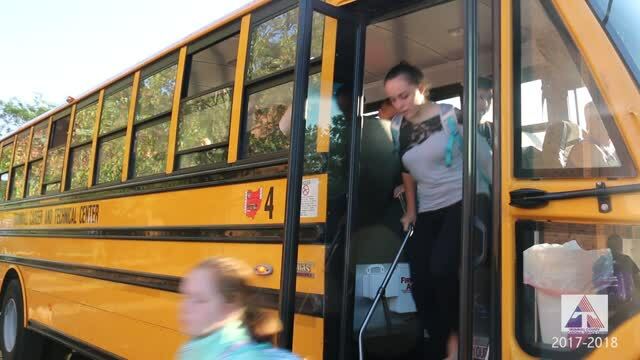 Students generally ride their district high school bus to and from TCTC in Champion where a Lordstown High School bus provides shuttle service to STEAM. Parents may transport their child to and from the program, if they prefer.